You can find more interactive mapping options here in the GMUG National Forests Planning Revision GIS database created by the Outdoor Alliance GIS Lab. The AAC strongly supports the protections embodied in the CORE Act. The Bill conserves outstanding outdoor recreation opportunities, safeguards water resources, preserves key public lands and complements the values associated with our state lands. This legislation places a high value on recreation and conservation, and supports the $28.0 Billion outdoor recreation economy in Colorado and the 229,000 jobs associated with it. Coloradan’s largely agree too. According to the 9th annual Conservation in the West Poll, 73% of Coloradans say “the ability to live near, recreate on, and enjoy public lands like national forests, parks, or trails was a significant reason they live in the West.” The proximity to amazing cragging, big alpine objectives and steep backcountry ski terrain was certainly a driving factor in my fiancé and I’s relocation to Colorado last October. Public lands are the infrastructure for Colorado outdoor recreation and are a critical component to the state’s economic well-being. The CORE Act will only enhance those recreational resources which Coloradan’s value. Over the past year, the AAC advocated alongside our partners at the Outdoor Alliance, for the passage of the Public Lands Package, which was recently signed into law. Of the 2.5 million acres of public lands across the country that received lasting protections in that bill, only a few hundred acres were in Colorado. The CORE Act gives Congress a second chance to take care of those overlooked opportunities. Designates 100,000 acres of wilderness, recreation, and conservation in the White River National Forest along the Colorado Continental Divide. Designates the first ever National Historic Landscape around Camp Hale to preserve and promote the Army’s 10th mountain division’s legacy. Provides protections for nearly 61,000 acres of land in the heart of the San Juan Mountains in Southwest, CO including Mount Sneffels and Wilson Peak. The bill designates 31,000 acres of Wilderness, 21,000+ acres of special management and 6,500+ acres of mineral withdrawal. Withdraws approximately 200,000 acres from future oil and gas development. Creates a program to lease excess methane from nearby coal mines to address climate change. Establishes the boundary for the Curecanti National Recreation Area. Improves coordination among land management agencies. Click on image above to access and interactive map prepared by the Outdoor Alliance GIS Lab. 2017. While the CORE Act has received support from Colorado Democrats, opposition was expressed by Congressman Scott Tipton (R-CO-3) at a recent US House Natural Resources Committee hearing. Tipton voiced concern that some of his constituents, “such as the Garfield County’s commissioners, who oppose the permanent withdrawal of oil and gas leasing in the Thompson Divide area west of Carbondale – were not being heard.” Tipton also pointed to a number of other groups that opposed the bill “due to limits it posed on certain recreational and work activities, such as motorized vehicle use.” Due to Tipton’s influence on Senator Cory Gardner (R-CO), and the fact that the Senate is controlled by the Republicans, it is critical to get Tipton and Gardner to both support this legislation if it is to go anywhere. If you’re a Colorado resident, you can let them know how you feel in the action alert below. Chris French, Acting Deputy Chief of The US Forest Service provided testimony during the hearing and pointed out that the USFS supports the bill where it is consistent with the applicable Forest Plans and have broad based local support. This is a relatively expected response as the Forest Plan, which acts similarly to zoning for the forest, partially governs the decision making within the unit. So, where wilderness is proposed by the Forest Plan and aligns with the CORE Act designations, the Forest Service will support the proposal. This is an important reminder to participate in the GMUG Forest planning process and to let your local land managers hear your opinion about wilderness designations in Colorado. The GMUG is currently being update and your opinion is needed! Camp Hale was the former base of the U.S. Army 10th Mountain Division and would receive the first national historic landscape designation in the country. The Camp was dedicated to training military climbers, skiers and mountaineers for combat during WWII and had a massive impact on shaping the climbing and skiing community. This designation would instruct the responsible agency to manage the area for its historical purposes including performing restoration and enhancement of its resources. This designation generally includes areas that have outstanding combinations of outdoor recreation opportunities, aesthetic attractions, and proximity to potential users. While not as restrictive as wilderness, it is considerably less resource-exploitive than traditional multiple-use designations and requires the agency to manage the land to serve its recreational use. A mineral withdrawal refers to a statute, executive order, or administrative order that changes the designation of a parcel of federal land from “available” to “unavailable” for location, settlement, selection, filing, entry or disposal, under the mineral or non-mineral public-land laws. This designation closes an area to new mining claims and requires existing claims to be demonstrated as valid before beginning mining activities. An area of Wilderness is defined as “an area of undeveloped federal land retaining its primeval character and influence, without permanent improvements or human habituation, which is protected and managed so as to preserve its natural conditions…” This is the most stringent preservation mechanism on Federal public lands. Geltman, Louis. Outdoor Alliance Testimony Re: Legislative hearing on H.R. 823, the “Colorado Outdoor Recreation and Economy Act.” April 2, 2019. Available here. Dutta, Deepan. “Colorado Outdoor Recreation & Economy (CORE) Act gets day in Congress, supporters and opponents testify about act’s merits” Post Independent. April 6, 2019. Available here. Coggins et. al. “Federal Public Land and Resources Law.” 7th edition. Foundation Press. 2014. The Wilderness Act. Pub.L. 88-577. 1964. CORE Act summary. Available here. State of the Rockies Project. “Conservation in the West Poll.” January 31, 2019. The US Senate Committee on Energy and Natural Resources recently held a hearing to “Examine Opportunities to Improve Access, Infrastructure, and Permitting for Outdoor Recreation." Thomas O'Keefe of American Whitewater, an AAC partner organization at the Outdoor Alliance, was a key witness in the hearing. O'keefe tactfully drew attention to, among other things, outfitter and guide permitting issues, posing one anecdote that it was easier for a paddling guide to bring clients to Costa Rica than the Mt. Hood National Forest in his own backyard. The AAC submitted testimony to Senate ENR - read it here. The American Alpine Club would really value hearing your stories and opinions on these subjects. Do you have a story to share about a challenging permitting system? Do you know about infrastructure issues in your local National Park or federal public land that have gone unattended? Are there landlocked federal lands that you would like to climb or ski on but can't due to private lands surrounding the property? Or are there other private land issues that you think states or the federal government should address? Please follow the link below and share your story with us! Thank you again for your time and for sharing your insight! Celebratory dance on the Petit Grepon, Rocky Mountain National Park, CO. Photo Credit: Mickey Hardt. This is a major win for the outdoor recreation community, which has invested significant time and energy into advocating the package’s support with lawmakers. The American Alpine Club is proud to have played a supporting role in getting the bill through Congress. None of this would have been possible without your support! Hundreds of you took the time to let your Representatives and Senators know that this package of bills is important, and your voice was heard. We’ll share more in the coming weeks as the package makes its way over to the final stop, the President’s desk. In the meantime, it would mean a lot if you let your lawmakers know you’re psyched about the decisions they made and shared a little stoke for their effort. We’ve made it easy for you to share a thank you and encourage Congress to keep supporting public lands in future efforts. Please take a minute to thank Congress for their support of the Natural Resource Management Act! Since its founding in 1902, the American Alpine Club (AAC) has been a force in helping safeguard our country’s wild landscapes and natural treasures. Working alongside our members and partners, we focus on critical issues facing climbers and outdoor recreation nationally, such as keeping public lands pristine, wild, and open to human-powered recreation. All of us at the AAC find great joy and meaning in climbing, and we are committed to a thriving outdoor community sustained by healthy mountain and climbing landscapes for generations to come. For the Summer of 2019, the AAC Policy and Advocacy Department will be welcoming 2 Policy Interns to the team. Policy Interns will learn from AAC staff and contribute to efforts on public land protections and safeguarding fragile mountain climbing environments. Drafting policy position papers and comment letters. Researching policy topics and communicating issues to the climbing community in a clear and compelling way. Developing an advocacy toolkit and engaging AAC chapters in federal, state and local policy issues. Assisting in website maintenance, press releases and social media efforts. Support in organizing policy/conservation events. The AAC believes that the future of outdoor recreation and climbing specifically, rely on the conservation of our public lands. However, industry leaders and senior administration officials have increased efforts to upset balanced land management decisions and favor natural resource extraction. The AAC represents the interests of our 23,000 members, as well as more than 9 million Americans who participate in climbing annually, and believe in the conservation of our national parks, forests, monuments and refuges. The Public Lands Intern will help the Policy and Advocacy Department identify and support pro-public lands legislation by tracking important policies and developing action alerts for the climbing community. Cooperate with Climate Intern (see below) to add Legislation Tracking page to website and update periodically throughout the summer. Identify important state and federal legislation for the AAC Policy team to support. Public Lands Intern will assist Policy Director and Manager in the preparation of public comment on agency actions which affect the climbing community. Public comment may occur on National Forest Plan revisions, Environmental Impact Statements, or in agency rulemaking processes. As climbers, skiers and mountaineers, we are intimately familiar with the mountain landscapes of the world. From Denali to Mt. Washington, our community has climbed the classic routes and skied the dream lines. In our travels, many of us have witnessed change. Now, discussions of last ascents and descents are a topic of serious concern. The potential impacts of a changing climate on our lives are vast. Not only do we recreate in these mountain environments, but for many of us, our livelihoods also depend on them. The outdoor recreation economy is a force in the United States, but much of it relies on the preservation of public lands and healthy mountain ecosystems. The AAC is concerned that a changing climate will threaten both of these important resources. The Climate Intern will help the Policy and Advocacy Department identify and support pro-climate legislation by tracking important policies and developing action alerts for the climbing community. Partner with Public Lands Intern to add Legislation Tracking page to website and update periodically throughout the summer. The American Alpine Club has a long legacy of scientific pursuit and archiving climbing stories in our library. We wish to continue this by collecting stories on climate and changing mountain environments in popular climbing areas. Based on responses and working with our committees, the AAC will develop research into climbing areas of most concern. Climate Policy Intern will assist Library and Policy Staff with the development, categorization, and implementation of this project. Basic knowledge of federal, state and local public lands policy and/or climate science and policy. Strong research and writing ability. Excellent communication and organizational skills, with meticulous attention to detail. Strong ability to work in a close team environment. Self-motivated with the ability to set priorities and manage multiple tasks under minimal supervision in effective and efficient manner. Experience in the outdoor industry. The AAC is headquartered at the American Mountaineering Center in Golden, Colorado. We will consider a remote candidate for the internship. AAC internships are unpaid; university credit may be applied. Interns will benefit from hands-on experience, guidance from the policy team and introduction to a strong network in the outdoor industry. June 1, 2019 - August 20, 2019. Dates can be flexible. The AAC is an equal opportunity employer, compliant with all federal and applicable state laws governing nondiscrimination in employment. The AAC provides employment opportunities without regard to race, color, religion, gender, sexual orientation, national origin, age, or disability. The Senate Just Passed the Public Lands Package!! Great news for climbers! The senate just passed the public lands package, aka the Natural Resources Management Act (S.47) with a landslide vote of 92 to 8. The package of bills includes important legislation for the climbing community such as the permanent reauthorization of the Land and Water Conservation Fund, Emery County Public Lands Management Act, Every Kid Outdoors Act and the Mountains to Sound Greenway National Heritage Act. This is a major step forward after the Package was denied back in December of 2018. But, this is a new Congress and they need to hear your opinion on this important legislation! Please let your lawmakers know that we want the Natural Resource Management Act (S.47) passed! We’ve made it super easy for you to do so with our Action Alert below! Thank you for sharing your opinion! Let Congress Hear It - Climbers Want The Public Lands Package! Moon Rising over Zion National Park, UT. Photo Credit: Taylor Luneau. Back in November, I went to Washington D.C. to represent the American Alpine Club (AAC) as their Policy Manager in the U.S. Congress. Together with member organizations of the Outdoor Alliance, including the Conservation Alliance, we visited congressional offices and lobbied for a variety of bills supporting human-powered outdoor recreation. Importantly, on our agenda was the “Public Lands Package” (S.47), which many of you may be very familiar with by now. If you’re not, you can take a look at the Outdoor Alliance’s webpage to get caught up. As for that particulars, the Package includes a variety of important bills for people who love outdoor recreation, including reauthorizing the Land and Water Conservation Fund, and protecting places like the Mountains to Sound Greenway National Heritage Area, the Methow Valley, Emery County, and Oregon Wildlands. You can read the comment letter that the AAC co-signed to Sen. McConnell (R-KY) and Sen. Schumer (D-NY) voicing our support for the Public Lands Package below. The Package was set to pass with bipartisan support back in December, but fell short due to an objection from Sen. Mike Lee (R-UT) regarding the Antiquities Act. The 116th Congress is finally up and running (following the longest government shutdown in the history of the U.S.!) we are hopeful that the Package will finally get approved. Sen. Murkowski (R-AK) has already re-introduced the Package in the Senate and we hope to see a vote on it in the coming week. If the Senate approves the Package, it will be a huge step towards protecting valuable public land assets well into the future. Now is a critical time to make your voice heard on this issue. Please take a moment to write your lawmakers and let them know that climbers want the Public Lands Package passed. Fill out the form below to take action. Ryan Burke descending from Middle Teton and heading to the saddle of South Garnet on a push for the Grand Traverse. Grand Teton National Park, WY. Photo credit: Taylor Luneau. Prior to my graduate studies, my understanding of our national public lands was elementary at best. I knew I loved wild places but I didn’t know the ins and outs of environmental law, policy or natural resource science. I can’t say I’m an expert now, but with a dual master’s in the stuff-- and the job of Policy Manager at the AAC-- I have the privileged opportunity to share resources with other climbers who may be in the stage that I once was; passionate about their climbing areas and curious how to protect them. These days it seems like the political landscape changes as quickly as thin ice on a south facing wall in full sunlight. However, with an understanding of the fundamentals, you can keep up with subtleties of public lands protection and advocate for your home mountain ranges. If you’ve got the appetite, the Outdoor Advocates Network is a great place to start. Not only will the Network help you understand the basics, but it will direct you to the best places to get involved on important public lands legislation. So, if you feel like you’re cruxing out when it comes to discussing public lands issues, or if you have that terrible gut feeling like you’re off route with your advocacy project check out the Network to catch up. The climbing community has a massive stake in the conversation of our public lands management. The more of us that can advocate for our climbing landscapes the more protections we can expect them to recieve. Together we’re stronger. Come join our fight. The 2018 Hill to Crag series has been a remarkable success, and the AAC is grateful for REI’s support in launching this initiative. Led by AAC member and Army Major Byron Harvison, our three Hill to Crag events brought together veterans, active military members, AAC volunteers, state offices of outdoor recreation, and local, state and national policymakers to connect via a day of rock climbing. These Hill to Crag events shift the paradigm of standard advocacy meetings. Rather than visit offices on Capitol Hill or at state capitols, AAC’s Hill to Crag series brings lawmakers to our office-- the great outdoors. In Colorado, Wyoming and North Carolina, the AAC spoke to elected officials (and/or their staff) about the power of the outdoors to address PTSD and other combat-related struggles. Also discussed were the economic benefits of public lands, stewardship, special use permitting issues and the role of state offices of outdoor recreation. The opportunity to connect as a large group, and then in smaller climbing teams, deepened the discussion and fostered meaningful connections amongst participants. The positive impact of our 2018 events was amplified by the participation of Access Fund, Black Diamond, Petzl, local climbing organizations, state offices of outdoor recreation, Outdoor Industry Association, land managers and other partners. We believe that we have created a formula that can be used across the country to build fruitful relationships with lawmakers and shape the discourse around public lands. Below are more detailed recaps from each of the three events. Golden, CO – October 12, 2018 On October 12th, the Veterans’ Section of the American Alpine Club (AAC), in coordination with the Front Range and New Mexico Chapters of the AAC, took staff from the offices of Senator Gardner (R-CO) and Senator Bennet (D-CO) climbing at North Table Mountain in Golden, CO. Also in attendance were members of Veterans Expeditions (VetEx), James Rein from the Outdoor Industry Association, and state legislator Owen Hill (Air Force Academy Grad, and representative of northern Colorado Springs). Following introductions and a tour of the American Mountaineering Museum, the group headed outside. Conversations ranged from climbing fundamentals to the benefits of outdoor recreation and climbing, in particular, for veterans. The day together opened the doors to important relationships that AAC will leverage as we advocate for public lands and access to them. Corps, and Representative Liz Cheney’s state director climbing at Vedauwoo, WY, followed by a tour of Curt Gowdy State Park. Maj. Harvison spurred conversations by speaking to the benefits of outdoor recreation and work for veterans with PTSD, noting a statistic from 2016 that 22 veterans attempt suicide per day. He also spoke to the group about the local and national economic benefits of outdoor recreation, which was highlighted by a later conversation between this group and a number of out-of-state climbers who were gearing up at the trailhead. All participants expressed interest in remaining involved in upcoming initiatives and information exchange opportunities. Chimney Rock, NC – November 16, 2018 On November 16th the Veterans’ Section of the American Alpine Club (AAC) in coordination with the Sandhill chapter of the AAC took Jordan Barnes of North Carolina Senator Thom Tillis’ staff, David Knight (Outdoor Recreation Industry Business Development Manager, Dept of Economic Development NC), Mary Jaeger-Gale (GM, Chimney Rock State Park), Landdis Hollifield (Event Mgr, Chimney Rock State Park), and several members of the local media climbing at Chimney Rock State Park, NC. Also in attendance were Fox Mountain Guides (facilitating equipment and climbing programming), Ron Funderburke of the AAC, and ten military veteran members of the AAC who are currently stationed at Ft. Bragg, NC. Due to some premature weather considerations, we had three legislative representatives cancel. Additionally, the Asheville REI marketing rep and store manager let us know the morning of that they were no longer going to be able to attend due to some emergent work obligations. This event drew a number of local new stations. AAC Sandhill Chapter chair and active duty Army officer Matthew Arevian gave a powerful interview about how climbing helped his family reconnect following deployments. A member of the Golden Knights parachute team shared how climbing helped him post-deployment and following a parachute accident that will soon have him leave the Army medically. After several hours of climbing and instruction (especially on the finer points of hard slab climbing by Ron), we gathered on top of Chimney Rock for a group pic with the gorgeous valley as a background. Everyone left with a high level of stoke, looking forward to more events, and hopefully networking with each other to see how they can get fellow veterans interested in what we do. Thanks to the generous support of REI, the AAC was able to hire Vince Schaefer from Coldhouse Media Productions. He is currently working on a 3 minute video piece about the NC event. We will share it with you when it’s complete. American Alpine Club Press Release. “The American Alpine Club Engages The Veteran Community With New Membership Options And Outreach.” Nov. 8, 2018. Outdoor Journal. “Crag Caucus: Veterans and Politicians Rock Climb Together with American Alpine Club.” Nov. 12, 2018. Teton Gravity Research. “American Alpine Club To Introduce Outreach For Veterans And Active Duty Military.” Nov. 12, 2018. Chimney Rock coverage from Charlotte’s FOX affiliate broadcast on the evening news. Nov. 16, 2018. Outdoor Retailer Newsletter, “Veterans in Action.” Nov. 20, 2018. Chimney Rock coverage from ABC affiliate broadcast on the evening news. Nov. 22, 2018. The American Alpine Club was founded in 1902 to advocate for all things climbing. Their mission is simple: “To support our shared passion for climbing and respect for the places we climb.” They provide education, grant funding, policy outreach, help with research projects, you name it. If it benefits climbing, they’re involved. Phil Powers, the CEO of AAC, and Mark Butler, the Policy Commission Chair, have grown concerned in recent days over the protracted government shutdown’s effects on climbing. An op-ed from the two is below. With the federal budget impasse and the partial government shutdown now in its third week, the adverse impacts to America’s public lands are mounting far beyond the thousands of government workers on furlough and the well-publicized public resource degradation of our parks. For more than a century, the American Alpine Club has been the voice of a community, currently numbering over 23,000, that regularly climbs and adventures in national parks and on public lands across the United States. The direct loss of income for government workers and the mounting resource damage to our most beloved parks is abhorrent, but many more are quietly facing hardship. Suffering in the shadows of this shutdown are tourism-based economies and small businesses that provide guided access and interpretation to our public lands. Recognizing the livelihood of small businesses that rely on access to public lands is an issue both Republicans and Democrats can undoubtedly support. The National Park System sees an estimated half a million visitors per day in winter months. According to the Senate Appropriations Committee Minority Staff, these visitors spend approximately $19 million daily at nearby restaurants, shops, lodges, and local outfitters. What Washington may consider the off-season for our parks is in actuality economic lifeblood for thousands of non-governmental workers. For small guide services, climbing schools, and others that provide guided experiences, the economic impact of the shutdown is an unexpected loss of revenue that won’t be reimbursed when this shutdown ends. It is estimated by The Access Fund that 60 percent of all climbing areas exist on public land. Without predictable access to those lands, visitors and students are canceling reservations. Professional climbing instruction and guiding is a labor of love with slim margins and meager profits; a situation that makes guides especially vulnerable when our politicians are attempting to score political points. Being a climber means many things, but it is our love for America’s wild landscapes that unites us as a community. We want our public lands to remain healthy, culturally significant, biologically diverse, and open and accessible for recreation and enjoyment. For the sake of hundreds of small businesses and the broader outdoor recreation economy that are dependent on access to and conservation of America’s public lands, we need our elected officials to pass a budget which adequately funds our public land management agencies, and ends this shutdown as soon as possible. Phil Powers is the Chief Executive Officer at the American Alpine Club. He is also the co-owner of Jackson Hole Mountain Guides. Mark Butler is the American Alpine Club Policy Committee Chair. He is a 38-year veteran of the National Park Service. Read AAC's policy committee member Peter Metcalf's opinion piece in the Salt Lake Tribune. "Ours is not a story of moneyed elites demanding rural oppression. It is the opposite. It is all of us coming together to protect access, enjoy, and profit off our shared lands and their natural features and resources. This is Utah’s story." "Since founding Black Diamond in the late 1980s, I’ve seen many secretaries of the Interior and many administrations come and go. But nothing can compare to what I’ve seen over the last year." AAC Director and Policy Committee Member Peter Metcalf, incoming Director John Bird, and professional athlete and AAC member Caroline Gleich met with Congressman John Curtis to discuss the AAC’s opposition to his bill on Bears Ears. When we think about why we love climbing, we think about the sheer joy of being outdoors, the boost to our souls, the tremendous health benefits, the strengthening of character, and the awe we feel about the land and mountains we climb. But at a time when public lands and climbing are threatened by monument reductions, increased energy development, and a changing climate, we need every tool in the toolbox and every argument we can make to protect climbing and the places we love. You may remember back in November 2016 we saw a great win for climbing and outdoor recreation with passage of the Outdoor REC Act. The REC Act directed the Bureau of Economic Analysis to measure the economic impacts of the outdoor recreation industry, just as it does for agriculture, pharmaceuticals, mining, and other industries. Quantifying the economic importance of outdoor recreation gives concrete data to better inform decisions impacting the pursuits we love and our country’s natural resources. Last week, the Bureau came out with its first preliminary numbers for the outdoor recreation economy, putting its contribution to the total US GDP at $373.7 billion, or 2% of the US economy. For comparison, mining, oil, and gas comprise 1.4% of GDP, and agriculture (which includes farming, fishing, forestry) is 1%. The Bureau’s report also found that the outdoor recreation economy is growing at 3.8%, faster than the overall economy’s rate of 2.8%. This data came in handy last week when the AAC Policy Team was in Washington, D.C., meeting with Congressional staff alongside our partners at Outdoor Alliance. In our discussions with Republican and Democratic staff alike on national monuments, the Recreation Not Red-Tape Act, the Land and Water Conservation Fund, and other issues relevant to climbers, it was critically helpful to point to the power of outdoor recreation to our GDP, and make the economic case for climbing and our public lands. In addition, AAC advocates recently met with Congressman John Curtis (R-UT) at his office in Provo, Utah. AAC Director and Policy Committee Member Peter Metcalf, incoming Director John Bird, and professional athlete and AAC member Caroline Gleich sat down with the Congressman to discuss the AAC’s opposition to his bill on Bears Ears. It was a productive and open conversation, and while the AAC remains opposed to the Congressman’s bill as it stands, we are building relationships on both sides of the aisle to best advocate for climbers and the places we love to climb. If you’re interested in becoming an AAC policy advocate and meeting with your members of Congress, please reach out to Policy Director Maria Povec, [email protected] and Policy Coordinator Anna Kramer, [email protected]. On December 4th, President Donald Trump announced his intention to reduce the size of Bears Ears National Monument by more than 80% and Grand Staircase-Escalante by half. Prior to Obama’s designation of the Bears Ears Monument, climbers have been advocating for protection of this landscape-- for its cultural significance and for its incredible splitter cracks and breathtaking desert sunsets. Since Trump’s move to reduce the monument, climbers have been active in speaking out against this drastic and possibly illegal action through protests, letters and petitions. Now, several months after Trump’s proclamation, we are seeing the implications. On February 2nd, 2018, a small provision in the proclamation to reduce Bears Ears went into effect that opened the lands outside the monument boundaries to new mining claims and energy development. This move threatens the roughly 40% of climbing areas and the Bears Ears landscape as a whole. In addition, the Bureau of Land Management is beginning its management planning process for the new, smaller monuments. This is all despite the ongoing lawsuits and legislative debates over the reductions of Bears Ears and Grand Staircase-Escalante national monuments, which we hope will restore the original national monument boundaries. The Bureau of Land Management (BLM) is moving forward prematurely with these monument management plans, and the American Alpine Club, along with its partners, has asked the agency to wait until the dust settles from the legal and legislative battles before planning and permitting the staking of mining claims. If the lawsuits succeed and the reductions are overturned, the BLM will have wasted time and resources on a costly management planning process. Multiple bills regarding these national monuments have also been introduced in the House of Representatives, and are currently being debated in the House Committee on Natural Resources. The outcome of these lawsuits and legislation will likely alter the final boundaries of and management directives for Bears Ears and Grand Staircase-Escalante. I am a rock climber and a member of the American Alpine Club. The Bears Ears and Grand Staircase-Escalante regions hold great value to our community. I am concerned by the possibility of new mining and energy development in these special places. As climbers, we ask that the Bureau of Land Management keep these areas closed to new claims, and wait to begin the management planning process until the lawsuits and legislative debates over these monuments are resolved. These areas deserve protection and a management plan that prioritizes sustainable recreation. Thank you for your consideration. Stay tuned for more updates on Bears Ears and Grand Staircase-Escalante National Monuments. In 2016, AAC awarded the David R. Brower Award to Kris McDivitt Tompkins for her conservation work in South America. For more than two decades, Kris and her husband Douglas Tompkins have donated large tracts of land to the park systems of Chile and Argentina. A recent donation to the Chilean park system includes lodging, campground and dining facilities, and trails, bridges and roads. With this latest donation, more than 13 million acres have been conserved in the two countries. Kris' recent New York Times Op-Ed is a beautiful piece about why democracy depends on preserving land for the common good. As Kris writes, "National parks, monuments and other public lands remind us that regardless of race, economic standing or citizenship, we all depend on a healthy planet for our survival...two hundred years from now let the elephants trumpet, the giant sequoias sway in stiff winds and our descendants enjoy healthy lives aware of their place in this wild thing we call nature." Read her full piece here. After the December 4th, 2017 announcement by President Donald Trump to reduce and modify the Bears Ears and Grand Staircase-Escalante National Monuments, our climbing community responded forcefully and quickly to oppose the decision. Climbers joined Native American groups, conservation organizations, and many others to ensure that these treasured landscapes remain protected. President Trump’s unprecedented actions constituted the largest reversal of federal land protection in the nation's history. A variety of lawsuits have been filed to halt the changes to Bears Ears and Grand Staircase-Escalante. Two of these lawsuits were filed by environmental and conservation groups to oppose the reduction and modification of Grand Staircase-Escalante National Monument, designated by President Bill Clinton in 1996. The remaining three lawsuits are focused on preventing the reduction and modification of Bears Ears National Monument into two smaller units with different proclamation language. One of these lawsuits was filed by the five Native American tribes representing the Bears Ears Inter-Tribal Coalition, and another was filed by an array of environmental and conservation groups, including our partners at the Sierra Club and the Wilderness Society. Our partners at the Access Fund have also filed, joining a lawsuit by Patagonia, Utah Dine Bikeyah, and others. The AAC supports the Access Fund and other plaintiff organizations as they legally challenge the reduction and modification of both monuments, particularly Bears Ears, where the proclamation explicitly acknowledged the region’s outstanding recreational values, including “world class” rock climbing as a basis for designation. As the monument litigation proceeds, the AAC will submit an amicus curiae (“friend of the court”) brief to make clear our opposition of the reduction and modification of the monuments. We also oppose any action by the administration aimed at weakening the efficacy of Antiquities Act as a means to conserve mountain environments and to protect opportunities for climbing. The AAC is actively engaged with appropriate congressional representatives and administration officials to respond to the broader legislative attacks on the national monuments that, if passed, could be even more detrimental to Utah’s desert and mountain environments and the interests of climbers than the December 4th proclamations. Presently, these threats are in the form of two bills introduced in the House of Representatives shortly after the December 4th proclamations: the Shash Jaa National Monument and Indian Creek National Monument Act, and the Grand Staircase Escalante Enhancement Act. If passed, these bills would legislatively affirm the proclamations that reduced and modified Bears Ears and Grand Staircase-Escalante National Monuments, effectively ending any lawsuits over these reductions because it is generally acknowledged that Congress has full authority to reduce or eliminate national monuments. The Shash Jaa National Monument and Indian Creek National Monument Act proposes to designate the two new smaller monuments Shash Jaa and Indian Creek. Unlike the original proclamation of Bears Ears National Monument, which explicitly recognized the importance of preserving rock climbing opportunities within the area, this bill makes no reference to climbing and only minimal reference to recreation in general. By legislatively affirming a new, smaller monument containing parts of what climbers know as Indian Creek, the bill would ensure the removal of national monument protections from roughly 40% of the climbing areas within Bears Ears. Furthermore, the Shash Jaa National Monument and Indian Creek National Monument Act, like the December 4th proclamation, ignores the will of millions of Americans who spoke out in favor of protecting the original Bears Ears National Monument. This legislation undoubtedly poses a greater, more permanent threat to this area than President Trump’s December 4th reduction and modification. Therefore, the AAC is working with partners and policy makers to oppose this bill. A similar bill has been introduced in the House regarding the Grand Staircase-Escalante National Monument. The Grand Staircase-Escalante Enhancement Act proposes to transform the three smaller units created by the December 4th proclamation into three national monuments, and create a national park and preserve within one of those units. Any land of the former Grand Staircase-Escalante National Monument outside the boundaries of these new monuments and park, however, would be declared open to sale, disposal, mineral and geothermal leasing, and mining. These acts pose a significant threat to our public lands and to this incredible region in particular. Consequently, the AAC and many other conservation groups oppose this bill. These legislative attacks would prevent the re-establishment of both the original Bears Ears and Grand Staircase-Escalante National Monuments, should any of the lawsuits against the President’s actions succeed. This is because the arguments of these lawsuits center on the limits of executive authority, and if they succeed, only Congress would then have the power to establish these new, smaller monuments. The AAC is working to oppose these bills and to push for new legislation to restore protections for these incredible areas and to ensure the integrity of our climbing landscapes. The AAC is committed to working in collaboration with our partners to address critical public policy issues facing America’s mountain environments, the interests of climbers, and outdoor recreation. We advocate nationally for keeping public lands pristine, wild, and open to human-powered recreation. All of us at the AAC find a deep meaning in climbing, and we are committed to advocating for climbers and working to ensure our nation’s laws provide for thriving outdoor communities, sustained by healthy mountain environments and vibrant climbing landscapes for generations to come. Your contributions and membership to the Club help us continue the fight for our national monuments and climbing areas. Stay tuned for more updates from your policy team. North and South Six Shooters, Indian Creek. Photo by Jason Gebauer. December 6, 2017: On Monday, December 4, 2017, President Donald Trump signed two proclamations significantly reducing and modifying Bears Ears National Monument and Grand Staircase-Escalante National Monument. This drastic and possibly illegal action will impact climbing in southeastern Utah, and has serious ramifications for the Antiquities Act, one of our most valuable conservation laws. The American Alpine Club is shocked by the scale of these reductions and modification, and we cannot support this attack. The decision to shrink and modify these monuments ignores the millions of Americans who spoke out in favor of keeping them intact, and stands in sharp contrast to our nation’s bipartisan legacy of conservation. The announcement to reduce and modify Bears Ears disregards the years of effort by Native Americans, conservation groups, and the outdoor recreation community to protect this treasured landscape. 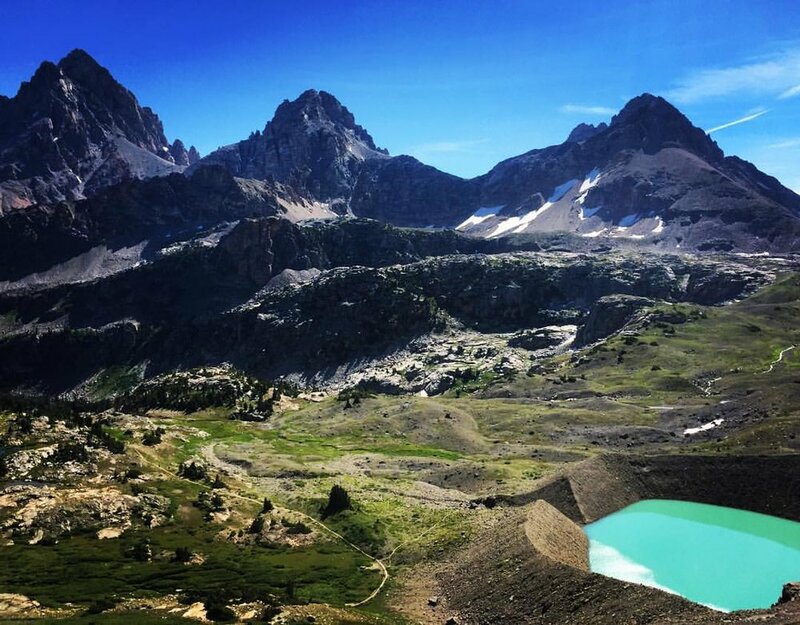 The American Alpine Club worked alongside our partners at the Access Fund and Outdoor Alliance to advocate for this monument and to ensure that climbing in the area was recognized as a legitimate and appropriate activity. The original proclamation to establish the Bears Ears National Monument did explicitly recognize climbing as one of many “world class outdoor recreation opportunities,” but the new proclamation fails to acknowledge climbing at all. In other words, climbing is not a priority in the new versions of these monuments. The redrawn monument boundaries create two separate and smaller areas within the Bears Ears monument: Shash Jáa, including the Bears Ears buttes, and Indian Creek, including a number of this iconic destination’s crags. While this impacts all climbing in the area, the modification results in loss of national monument protection in roughly 40% of climbing areas within the former Bears Ears boundaries, including Valley of the Gods, Harts Draw, and Indian Creek areas like the Wall and the Cliffs of Insanity. The AAC’s concern is not limited to the cliffs and desert towers. We advocate for healthy climbing landscapes and the ecosystems that surround them. We are deeply concerned that these new national monument boundaries could lead to irreparable damage to the integrity and character of climbing in this region. Nationwide, 71% of climbing is on public lands. The implications of these attacks for climbing areas across the country deeply concern us. Most national monuments are established by the President under the authority of the Antiquities Act of 1906, which grants the President the power to declare national monuments. The Antiquities Act is a vital conservation tool, utilized by past presidents of both parties, and has led to the protection of some of our country’s greatest climbing areas. These include Devils Tower National Monument and Colorado National Monument, as well as many national parks that began as national monuments, such as Grand Teton, Joshua Tree, and Zion national parks. The reduction of Bears Ears & Grand Staircase-Escalante national monuments represents an unprecedented assault on the Antiquities Act and a threat to climbing nationwide, and the AAC is evaluating our options for litigation or other actions. The AAC will continue our commitment to protecting our national monuments and public lands, preserving the health of our vertical playgrounds, and ensuring the vitality of the Antiquities Act. Write to your member of Congress and let them know how these monument reductions impact you. Support the American Alpine Club’s efforts to protect our climbing landscapes. Support the campaign by Friends of Cedar Mesa and Duct Tape Then Beer to build a Bears Ears Education Center and ensure visitors learn to respect and protect this landscape. The Arctic National Wildlife Refuge is facing a tremendous threat. Its solitude and silence are one step closer to being replaced with noisy drilling equipment and heavy machinery. Over the course of our 115-year history, the American Alpine Club has been committed to protecting our country’s most treasured landscapes, including the Arctic. With Congress’ budget vote last week, the future of this crown jewel is at risk. Last week, the United States Senate passed a budget resolution that charges the Senate Energy and Natural Resources Committee with reducing the federal deficit through revenues created by oil and gas leasing in the Arctic Refuge. Since the House of Representatives already passed a similar budget provision early this year, both the House and Senate will work to reconcile their budget versions before final passage and delivery to the president. The AAC has a long legacy of scientific exploration and adventure in the Arctic—pioneering cutting-edge new routes and supporting research expeditions that have contributed valuable information to our understanding of mountain, Antarctic and Arctic ecosystems. For example, AAC Board Member Kit DesLauriers completed the first known ascent of Mount Isto in the ANWR and has been working to merge environmental science with adventure. Check out her story here. Help protect our last great frontier: As climbers, we have a duty to protect the Arctic National Wildlife Refuge for future generations. We still have time to urge Congress to protect the Arctic Refuge and stop irresponsible energy development there. Check out how your Senators voted. Call and tell them that you think the Arctic National Wildlife Refuge is too precious to be developed and tell them how you feel about their vote: (202) 224-3121. Banner photo by Paxson Woelber. "Why do we love our public lands so much? Because so many of us have felt first hand the incredible benefits of spending time in the country we fought to defend. Time outdoors for many of us, regardless of the wounds we did or did not receive, and regardless when we served, has given us a pathway to a healthier and more fulfilling life." Read Stacy Bare's commentary in the Salt Lake Tribune here.